Living south of the Metro has always been equated with a laid-back lifestyle, with more open spaces, community retail and restaurant rows, and less of the everyday congestion experienced in the main central business districts (CBD). 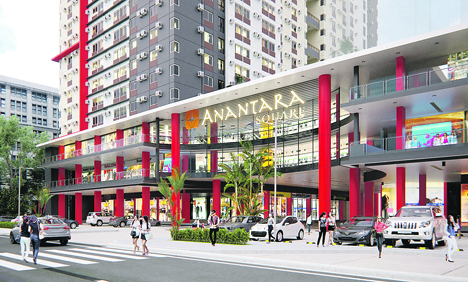 This is the type of lifestyle that Cathay Land is offering at its latest real estate development project, Anantara Square, located along Alabang-Zapote Road in Las Piñas City, between SM South Mall and Robinsons Place Las Piñas. The project’s first tower, a 20-storey mixed-use building, will feature about 700 units, comprised mainly of studio units and one-bedroom suites. Bigger units are offered at the two penthouse floors via combining adjacent units. Greenery will be an important aspect of the project, with pocket gardens, an open-air courtyard, with a beautiful view of the sunrise and sunset to bookend the day. “Through Anantara Square, we will be able to offer that relaxed style of living that the southern suburbs are famous for, while giving our future residents the accessibility to the growing CBD in the Alabang area, and even further south,“ said Cathay Land president Jeffrey Ng.